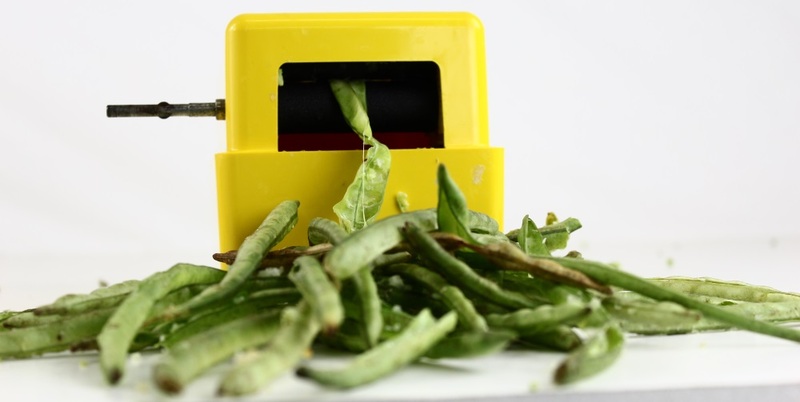 A Pea Sheller for less than $100? 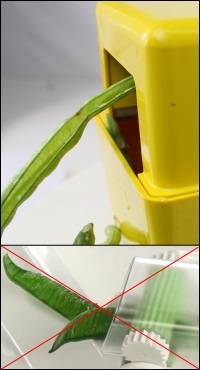 Our “Gripit & Ripit” advanced roller technology grips the pea hull and rips it down the seam, gently depositing the peas and beans in the container below. Our rollers should last 7 to 10 years, even under the most strenuous residential use. Oh yeah, and they’re replaceable. We’ve remedied that with an ingenious way to adjust the rollers with a turn of a screw on each side. Small turns make a big, big difference. Simply attach a mixer and you’ve got all you need to shell 2 bushel of peas an hour. Slow to medium speed for purple hull & cream 40’s. Medium to fast for butter beans and large peas. It was tempting to have some of the parts made in China. But we required even the molds be made in the USA. Yes, it cost more, but we’re proud to support American manufacturing. PoBoy can handle purple hull peas, black-eye peas, butter beans, lima beans, white acre, cream 40’s, and many more. 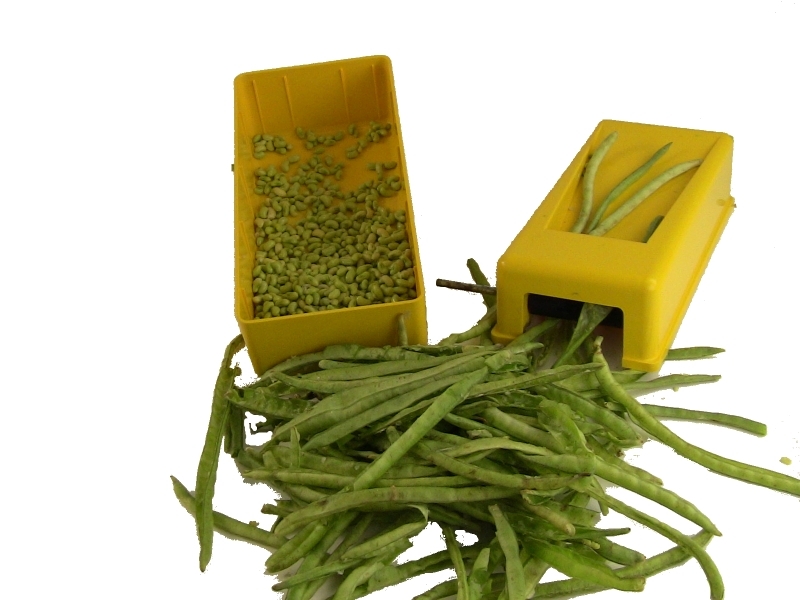 Zipper peas can be difficult and it takes some perseverance to fit through the rollers, but the PoBoy Pea Sheller doesn’t mash them. The rollers are now in full production. Whew! That was truly the scariest part as being able to mass produce the rollers with consistency at an affordable price was a real trick. Actually, they aren’t really mass produced. Each one is hand fed through a special machine to put the proper texture on them. The rollers have little “feelers,” think of the hair on an insect’s legs. They grab the hull like hundreds of tiny fingers and pull the hull through with a minimal amount of slippage. The molds for the gears and bearings are being built right now. I expect to have them in-house by mid-August. The gears and bearings are totally maintenance-free. No oiling. They are self-lubricating, in fact, adding oil will damage them. The container mold is contracted out and the deposit paid. It looks like this is going to be the last parts to arrive. Here is one half of the mold for the small parts. I had hoped they’d be here already but still should be here in plenty of time. Progress on getting everything here is painfully slow. There are a lot of people anxious get the their new PoBoy Pea Sheller. Many are asking for quantities of 3, 4, and even 6. 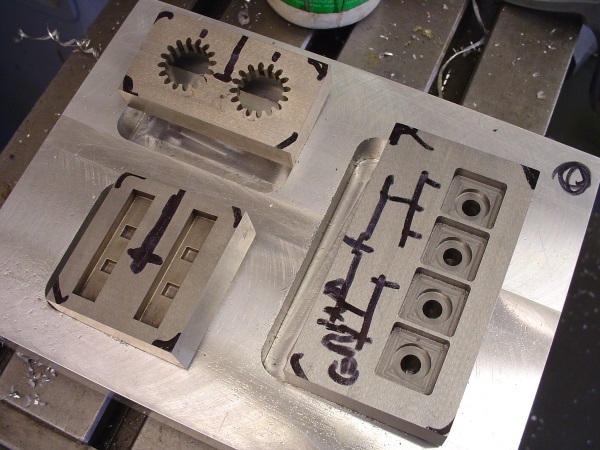 Requiring the molds to be made in the US has the mold injection companies in a tizzy. Most have special relationships with Chinese mold makers who can do them very cheaply (cheap being a relative word). Making the molds here costs almost exactly twice as much and about twice as much trouble. New Information (October 7, 2017) GRRRRR!!! Well, shucksey-darn! The mold maker for the top and bottom container is now starting on getting started. DRAT and DOUBLE DRAT! This was supposed to be completed and to the plastic mold injection company a month ago. Seems their new machine from HAAS was delayed getting here. They are supposed to start cutting the molds next week. I’ll be there Friday and will post pictures. One day I’m going to take all my notes and write a blog about the difficulty of making this simple pea sheller in the States. Undoubtedly it will be more redacted than Hillary’s emails. It would be tempting to name all the manufacturers and their craziness. I will say this, either American manufacturers are going full tilt, or they are just waiting to hit home runs and don’t mind striking out-A LOT. We need pre-orders of 1,000 units to begin production. By signing up below you are not obligated to purchase the PoBoy Pea Sheller. We are only gathering names of people who might be interested in the PoBoy Pea Sheller.